The Director general of common agricultural policy and Rural Development, Mª Teresa Chafer Nacher, the 47th Edition of Iberflora opens tomorrow, International fair of plant and flower, Landscaping, Technology and Bricojardín, and the 10th edition of Eurobrico, Fair international DIY, that expected to receive up to next Friday from buyers of 16 countries. Both events together in the four halls of the level 3 Feria Valencia offer commercial it adds 700 firms and brands exhibiting specializing in plant and flower, landscaping, exterior decoration, bricojardín, technology, hardware and DIY. Foreign visitors will be important for the promotion of both competitions thanks to the effort that it will attract buyers more of 16 countries with 300 invited directly by the organization from countries such as Germany, Belgium, Ivory Coast, Denmark, France, Greece, Holland, Hungary, Ireland, Italy, Malta, Morocco, Portugal, United Kingdom, Czech Republic and Switzerland. Iberflora will repeat its bet that strengthens you an edit more as the most important contest of the green sector in Spain and one of the leaders in Europe. In this edition, It deals with a new call with a remarkable offer growth and new proposals that add value to the call. At the same time it offers an impeccable range of conferences and seminars, among the days of the therapeutic Cannabis, Cultivation and legal aspects organized by the Forum cannabic valencia or spectacular demonstrations of trial climbing where expert gardeners defy the heights to successfully perform their work. 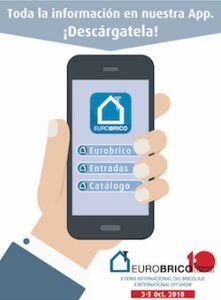 On the other hand, Eurobrico celebrates this year its 10 anniversary consolidating the appointment as a meeting point for all the power of buying national and international supermarkets. In your trade show, In addition to the leading national companies in the sector, growing the foreign representation with signatures from Mexico and Russia, and mainly from European countries such as Austria, Belgium, France, Hungary, Italy, Portugal and United Kingdom. Add to them the 12 firms from Israel who came as a guest to Eurobrico country, all of them leaders in the DIY and home improvement, gardening and smart homes. In addition to the offer exhibition, Eurobrico has launched different initiatives aiming to support and promote the sector. The connected home will allow the integration of products for home automation on the shelves of hardware stores and point of sale 'Ideas to improve your hardware' space, an exhibition that will give professional solutions to show in a more attractive way your product on the shelves. As well as a full programme of talks, conferences and workshops that will complement the trade exhibition. Both competitions will open its doors from the 3 to the 5 October in the pavilions 1, 2, 3 and 4 level 3 Feria Valencia with a schedule uninterrupted Wednesday and Thursday from 9:00 to 18:00 hours and Friday from 9:00 to 17:00 hours.